We offer the wide range of organza silk fabric that are a manufactured from high grade raw material and are used in various garments and fashion industry. Our range is available in two forms namely yarn dye type that is attractive and ranging up to 54". 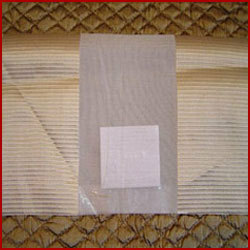 Another form is fabric dye that is of range 52" and have a diverse application area. They are offered as 33gms, 42gms and 47gms wide and 100 mtrs per style. Minimum quantities for both these varieties are 100mtrs per style.